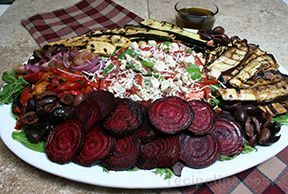 A wonderful combination of flavors to accompany any grilled entree. Slice vegetables and put in a large non-metal bowl. In another bowl, combine vinegar, olive oil, garlic, Worcestershire sauce, sugar, and sherry; salt and pepper to taste. Whisk well and pour over the vegetables. Let marinate 20 minutes or so. 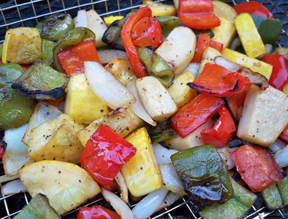 Stirring occasionally, grill in a vegetable basket over hot coals for about 10 minutes.